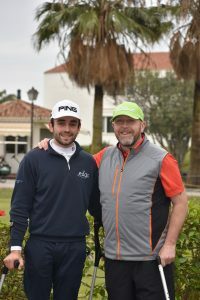 Two excellent winners in Juan Postigo (Gross) and Mike Jones (Stableford) savoured deserving victories in the Spanish Open for Disabled Players 2017, held at the Parador de Málaga Golf Resort at the weekend (11-12 September). The first European Disabled Golf Association (EDGA) event of the season, organised by the Spanish Golf Federation, provided a challenging final round as more than 50 players were welcomed by strong winds as they teed-off on the testing coastal course with its slick greens. Fortunately the rain which had been forecasted stayed away until the final moments as the last match reached the 18th green. In the Stableford division the overnight leader Enrique Ramirez Belmonte started with his closest competitor Mike Jones from the 10th tee, which was particularly exposed to the brisk wind coming off the sea. Mike proved too strong on the day with a solid round of 34 points (63 total to Enrique’s 55) but gave great credit to his playing partner’s sportsmanship and camaraderie; with special praise also for his expert caddie and wife, Beth. 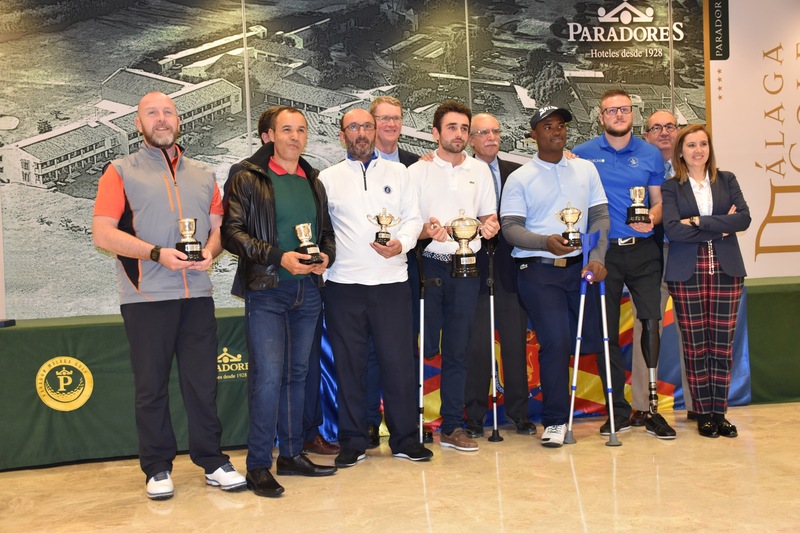 Other good performers in the Stableford division included Timo Pessi and José Manuel Heras Hernanz, each scoring 53 points, and Patrick Siegwald (51). In the Gross division Juan Postigo had taken a one-shot lead into Day 2 (after a first round +3, 75), just ahead of Manuel de los Santos and Hassan Chakboub. Starting with a birdie he set the mark for the day, and was never really challenged as he sprinted to a healthy lead. With six birdies in the round he had the comfort of a few dropped shots on the extremely difficult holes near to the sea and into the wind. The round of 72 was the best score of the week and was worthy of the winner who would prevail by 10 shots over de los Santos. Antonio Llerena Caro, Chakboub, Adem Wahbi and Mathieu Cauneau were all in the chasing pack. The scoring of the players will all count towards the Ranking for Golfers with Disability supported by PING which runs throughout the year. Postigo also enjoyed winning the Nett prize, but with a smaller two-stroke margin over four of his competitors who shared the same 147 Nett score. 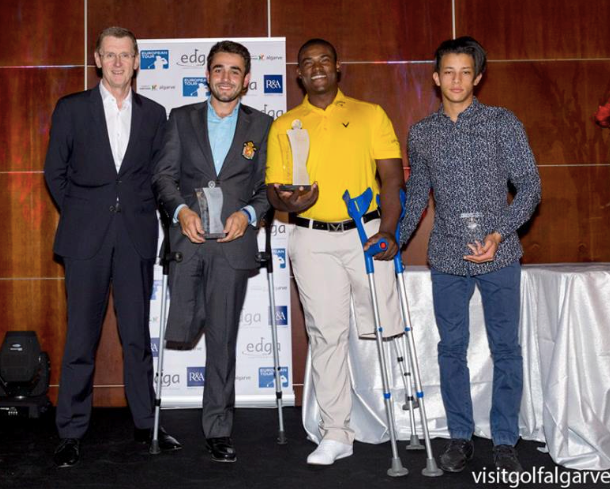 The next EDGA tournament is the European Challenge for Wheelchair Golfers (24-27 April) in Sitges, Spain. A record number of entrants will be teeing it up in the final event of the European Disabled Golf Association calendar, in the III EDGA Algarve Open 2016, which starts on Friday (2 December) at Pestana Vila Sol Golf Resort, Portugal. Some 66 players from around the world have registered to play in the 12th event of EDGA’s Tournament Series 2016, and trophies in the gross, nett and stableford divisions are up for grabs. The competition is generously supported by the Algarve Tourism Association and the trophies provided by the Portuguese Golf Federation. The growth in popularity from the 38 players who took part last year, is mirrored in the strength of the annual Tournament Series in 2016, which has also expanded significantly from just four events back in 2013. The final putt of the two-round tournament at Vila Sol will also complete the year’s Ranking for Golfers with Disability (R4GD) supported by PING. The Tournament Series is just one of a variety of subjects that will be discussed during the most comprehensive EDGA Annual Assembly of recent years, which also takes place this week at Vila Sol, starting Thursday. Members from 18 of Europe’s national Golf Federations which work with EDGA have been invited to attend, alongside representatives from the International Golf Federation (IGF), the Ryder Cup European Development Trust, the European Golf Association, and supporters of the organisation, PING. Topics will include the further growth of EDGA as it extends its support of golfers with disability and its collaboration with the game’s world leaders, including The R&A and the IGF. Progress in linking golfers with disability with the Paralympic movement is sure to be a key discussion point, as EDGA members strive to have golf become a Paralympic sport after golf’s success in the 2016 Olympics in Rio. Delegates will learn more about the planned growth of the EDGA Tournament Series over the next two years, and the work of EDGA’s medical committee in helping to create better definitions of impairment to help golfers with physical and mental disabilities to enjoy greater opportunities to play and compete. While the delegates are thrashing out these ideas inside, the 66 players will be hoping to take the route to victory over the undulating and challenging Vila Sol course, known for its hidden dangers and notoriously quick greens. Along with tournament sponsor the Algarve Tourism Association, internationally respected golf apparel brand Glenmuir is the Apparel Sponsor for an event which last year was won by the popular Manuel de Los Santos of the Dominican Republic, after a sudden-death play-off with France’s Mathieu Cauneau. Belgium’s Cedric Lescut, at the top of this year’s R4GD supported by PING, will know that another win by Manuel could steal the Ranking in this last event of 2016. The Swedish Open, a key event in the European Disabled Golf Association (EDGA) calendar, has been hailed as a great success with victory going to home nation player Johan Kammerstad. 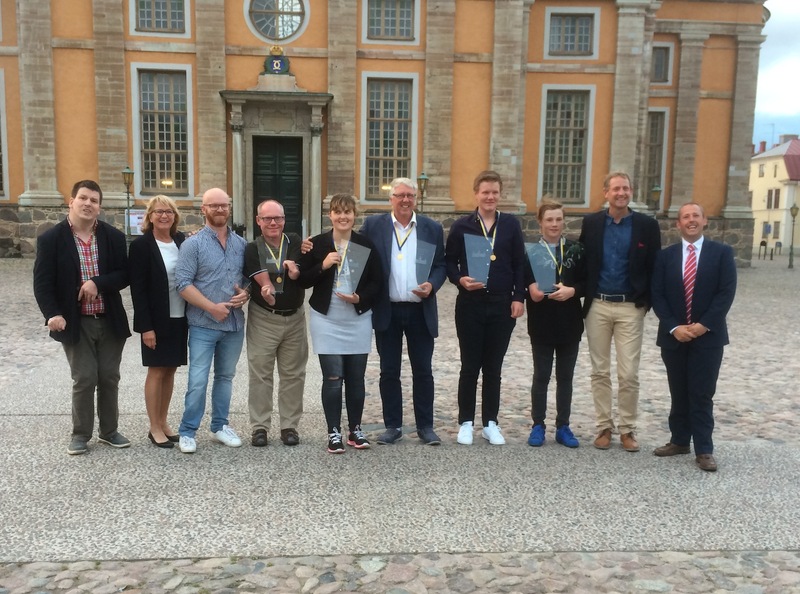 Thirty-nine golfers with a disability teed it up at the beautiful venue of Kalmar GolfKlubb, in the south-east of the country next to the Baltic Sea. This is one of 12 EDGA tournaments in 11 European countries this summer. The EDGA Tournament Series is supported by The R&A and the European Tour, and scoring counts towards the Ranking for Golfers with Disability supported by PING. Johan Kammerstad controlled his golf ball brilliantly to win the Category A Gross event, with rounds of 74 and 75 to become the champion for 2016, winning by 10 shots from second place fellow Swede Joakim Björkman (78, 81). It was the Category B leaderboard which produced the real drama. Denmark’s Rasmus Lot and Sweden’s Jakob Persson finished level on 161 shots after Lot’s excellent 77 to Persson’s 80 in the second round. The resulting play-off was a thriller; five sudden-death holes before a three-putt from Jakob meant the great Dane Rasmus won the day. The tight, challenging, tree-lined course was in excellent condition with difficult water features and quick greens testing all the players, who enjoyed spectacular views over to the Kalmar Straight. 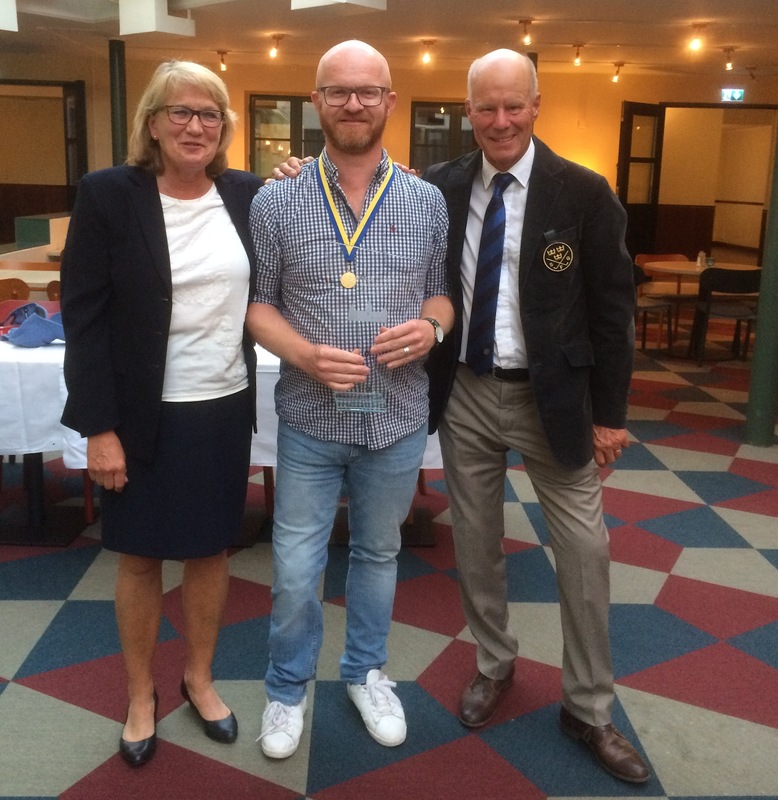 Sweden’s Gustav Götstav was victorious in the Category C Nett trophy, with a great total of 145 (71, 74), four shots clear of Frenchman José Bagnarelli (71, 78). Jens Magnusson came third (153) after a final Nett 72. The Stableford (Category D) was well won by Germany’s Heinz Barnbeck with 27 points in each round to win by six shots. Well played also Denmark’s Hans Mollegaard in second place and the rest of the chasing pack. 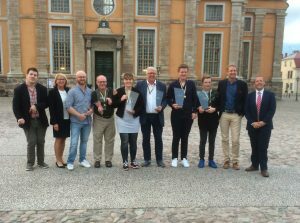 This was the first year that golfers with intellectual and neurological disabilities have been involved in the Swedish Open. EDGA Tournament Observer Craig Thomas noted this was very well received with 10 players, including two female golfers, competing on the course. Sveinbjorn Gudmundsson and Elin Ólafsdottir won their categories to make it a double triumph for Iceland. Craig Thomas added: “All the players deserve great credit for the way they embraced the challenge at Kalmar, the Swedish Open produced some fantastic performances which will stay long in the memory. Great thanks are due to the referees who did a really good job, all the organisational staff, the Swedish Federation and the whole team at Kalmar GolfKlubb who made us all feel so welcome; they were fabulous. * Learn more about EDGA on www.edgagolf.com.